Head over to the Spiderella page to purchase a signed copy! 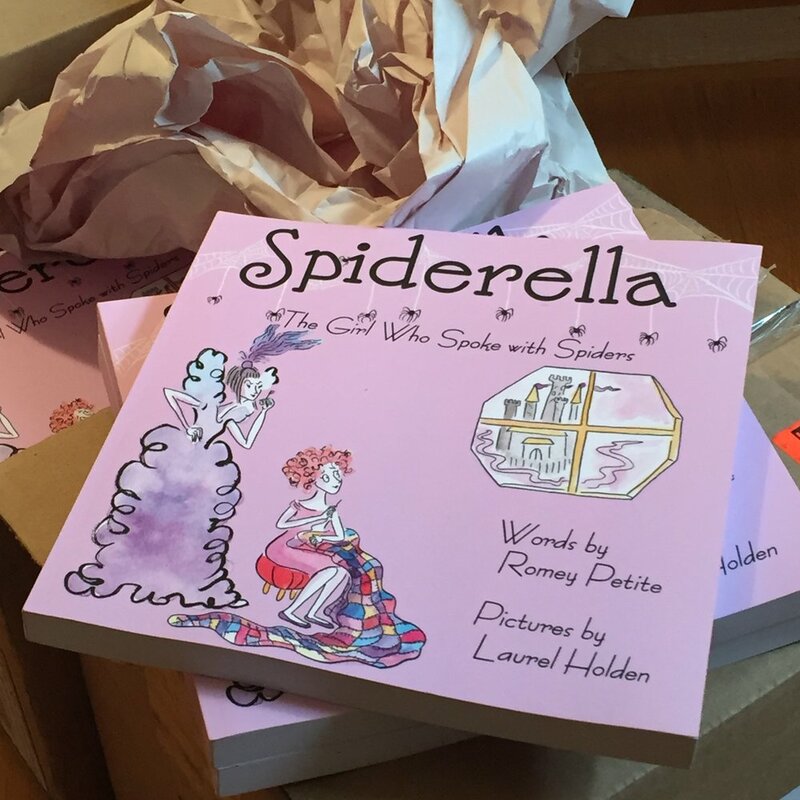 Spiderella: The Girl Who Spoke with Spiders is an illustrated story intended for middle grade readers (ages 7-10), but it will appeal to readers of all ages seeking mystery and magic. The pictures were painted by Laurel Holden and words were written by Romey Petite. It’s a reading experience akin to a collaboration between Roald Dahl and Quentin Blake, or Antoine de Saint-Exupery’s The Little Prince.